The wait is over. 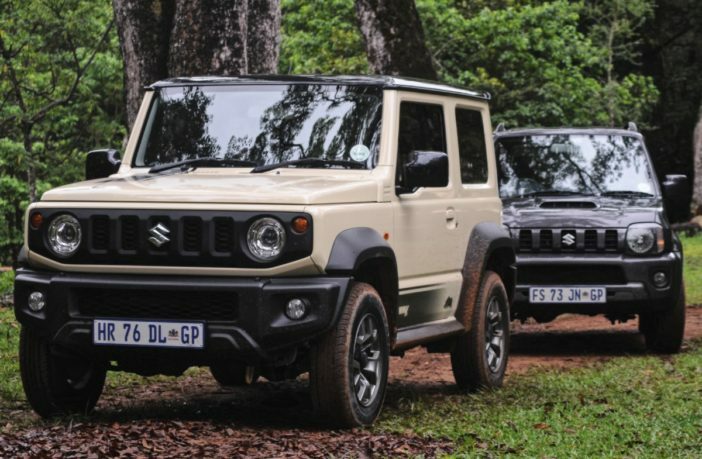 After 20 years, Suzuki has finally blessed the local automotive market with a brand-new Jimny, and it’s a monumental step-up from its predecessor. Visually, it’s a nostalgic return to the boxy, angular LJs and SJs of the 70s and 80s, with plenty of modern improvements. 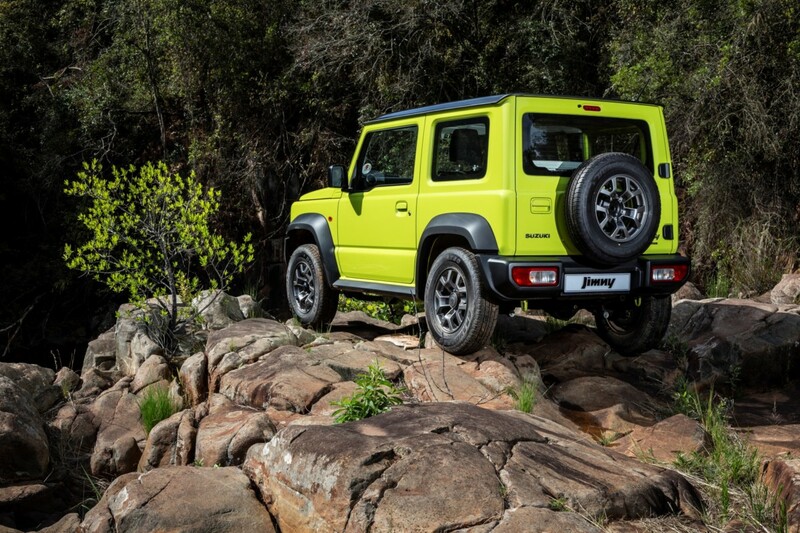 And before you say what we’re all thinking, Suzuki wants to clear something up – the first LJ preceded the first Gelandewagen by several years, so in fact, the G-Wagon looks like a Jimny! Despite first impressions, the new model is in fact pretty much the same size as the last one, with the only significant difference being a 40mm wider track, giving it that tad bit more stability, and slightly more room in the cabin. A loss of 50mm in length is simply down to a re-designed bumper. 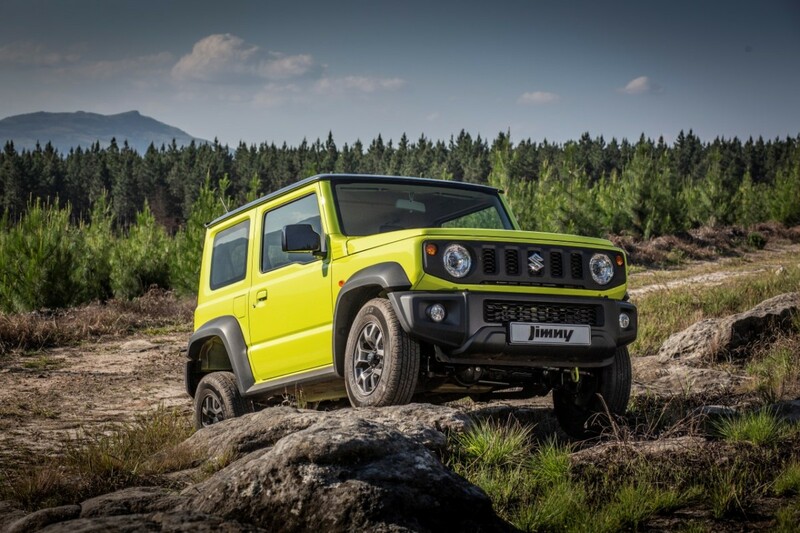 The Jimny is available in several striking two-tone colourways. The interior is very modern and quite understated, yet stylish. The steering wheel in the GLX comes standard with media controls. The media system is Apple CarPlay and MirrorLink ready. 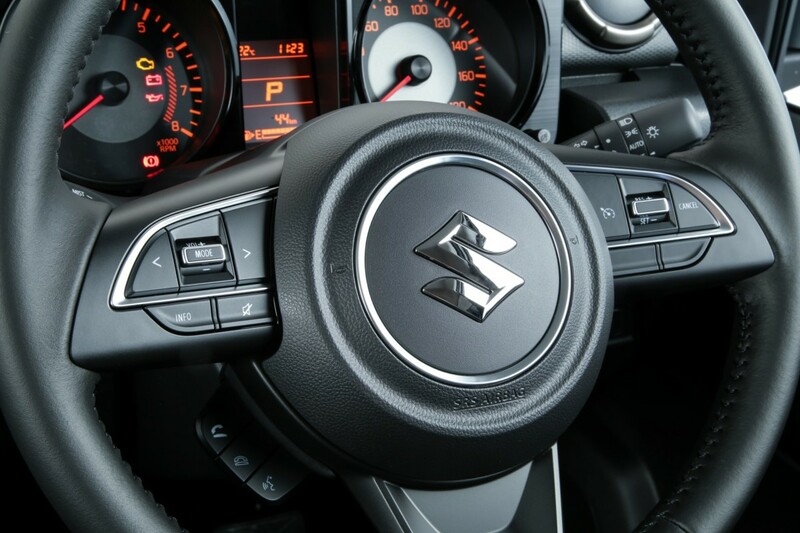 Suzuki believes that drivers will appreciate the tactile nature of a physical lever. 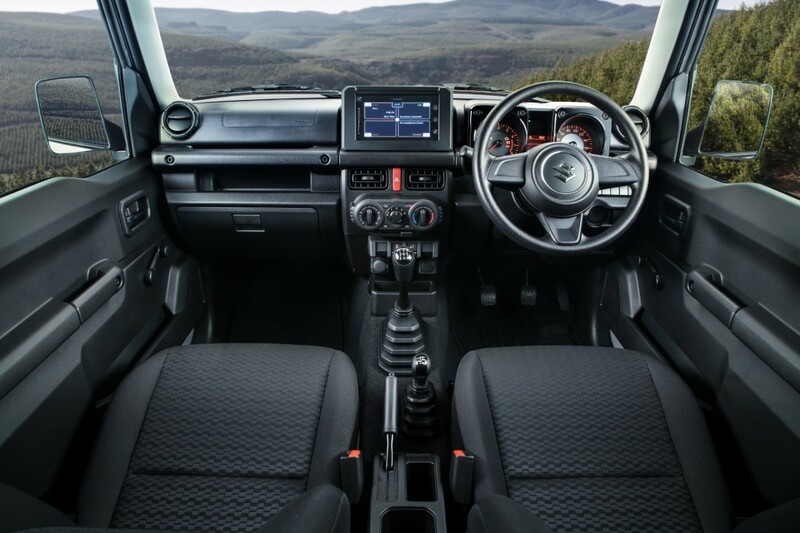 The new Jimny is offered in two specs: the baseline GA, with steel wheels, no infotainment system and no electric windows or mirrors, and the premium GLX, which features LED headlights and cruise control, among other things. 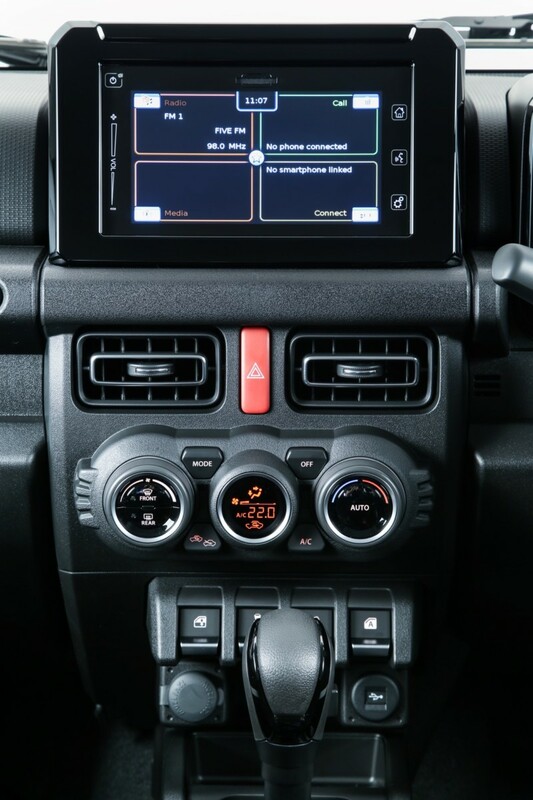 The new double-DIN audio system features a 7-inch touchscreen that can be operated with wet or gloved fingers, and the interface is compatible with Apple CarPlay and MirrorLink via a USB port. The interior feels rugged and cosy, but not claustrophobic – the rear seats will spend most of their time folded flat anyway. The new 1.5 litre engine is probably the most welcome of all the new additions, kicking out 75kW and 130Nm, and ensuring that you can actually hear the radio when you’re doing 120km/h. Although it is slightly more powerful than the old 1.3, it’s lighter on fuel, with the manual doing just 6.3 litres per 100km and the auto 6.8. 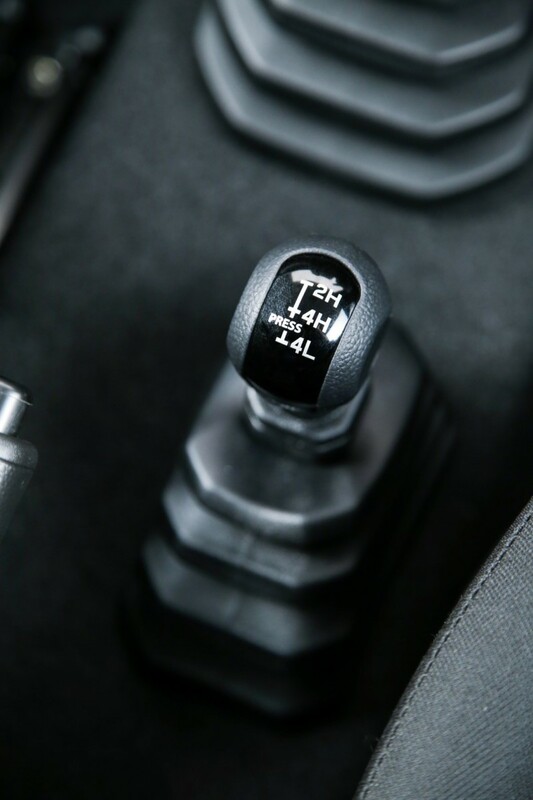 The two transmission options are a five-speed manual and a four-speed automatic, both re-engineered to suit the new engine. Suzuki’s ALLGRIP PRO 4WD system comes standard on all models, combining a low-range transfer case with a clever Brake LSD (limited-slip differential) system that eliminates the need for a rear diff-lock. The system is incredibly effective, re-directing torque where it’s needed within seconds. The previous generation had open diffs. Other new toys include Hill Hold Control and Hill Descent Control, both of which work superbly. Approach, break-over and departure angles have been improved upon, gaining two, one and three degrees over the predecessor respectively. Ground clearance is also up by 20mm! Naturally, Suzuki has opted to stick with the hardy formula of solid axles and ladder frame chassis, but the latter has been reinforced with added cross-members, including an x-member in the middle. 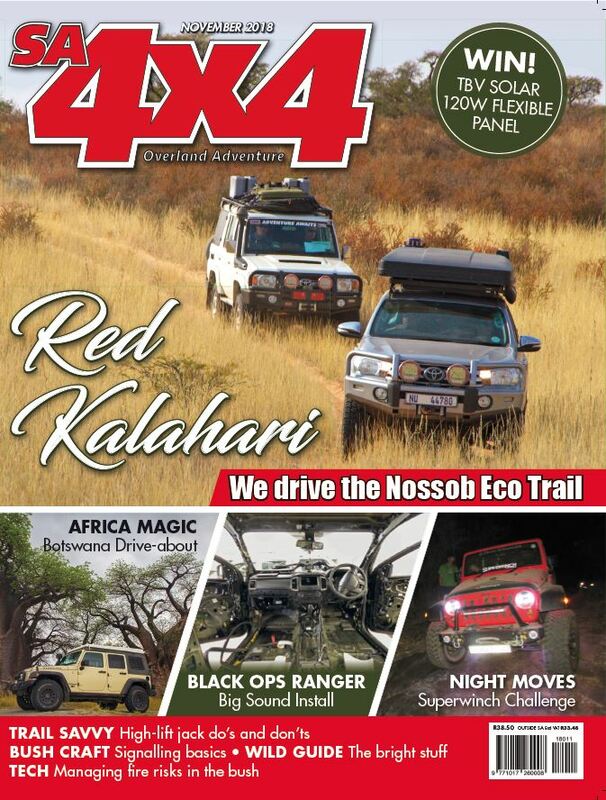 A nice touch for 4WD enthusiasts is a return to a lever-operated 4WD system. Best of all, the new Jimny is an absolute blast to drive. On the tar, it’s a major improvement on the sluggish old third-gen, although a turbo and sixth gear would be welcomed with open arms! On the dirt is where it really shines, though. In low range, the transmission whine sounds like a proper rally car with a sequential gearbox (that’s the straight-cut low-range gears in operation), and despite the tiny tyres, you never feel like you’re going to lose control. The Jimny climbs over all obstacles without any fuss at all. It’s still the uncompromising, fully-capable off-roader that we all know and love. 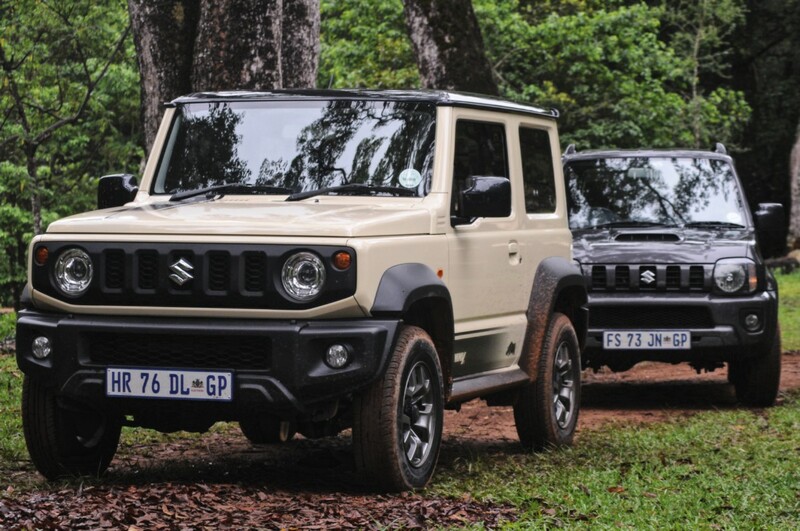 Suzuki is on to a winner here, and the new Jimny is destined to be a hit in South Africa. There’s already a sizeable waiting list, and after driving the little devil, I think it’s only going to get longer and longer. The GLX comes with a 4-year/60 000km service plan, while the GA comes with precisely half that. All models come standard with a 5-year/200 000km mechanical warranty.